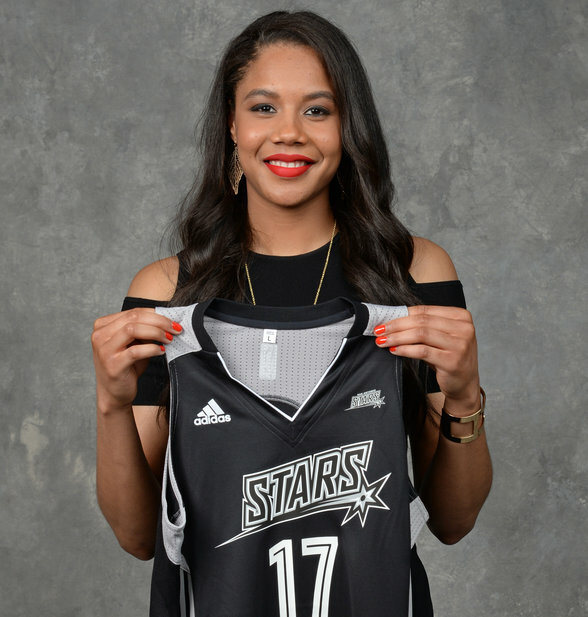 There weren’t many, if any, surprises in last week’s WNBA Draft. Kelsey Plum was selected first overall by San Antonio, but unlike some who predicted otherwise, she did not get traded after being picked. Only once in league draft history (Lindsay Harding in 2007) has a top overall pick been traded right after she was selected. I know because I was the only Minnesota media present the first and last time the W draft was held in the Midwest, Cleveland. Actually, one trade was announced the day after the April 13 draft — Minnesota shipped Keisha Hampton to Chicago for Chantel Osahor, who was selected in the second round. Three South Carolina teammates (Alaina Coates, Allisha Gray and Kaela Davis), fresh off winning a national championship, were picked in the opening round — three UConn teammates were similarly selected in last week’s draft. The only surprise here was that Coates — who injured her ankle in the NCAAs and whose availability to play is unknown — was picked so high (second overall by Chicago). Nine “sistahs” were this year’s first-round picks, one short of 10 Black females selected in last year’s opening round. This included Northwestern’s Nia Coffey at No. 5 — she is the second Minnesota-born player as a top-five pick in consecutive draft —Rachel Banham was the fourth pick last year, and the first Minneapolis native picked this high since Tayler Hill at No. 4 in 2013. “Whatever coach needs me to do, I can do,” pledged the 6-1 Coffey. “It means a lot to me to carry the Davis name.” —Kaela Davis, Dallas (10th pick); her father Antonio Davis is a retired NBA player. “I’m glad I chose to come to the draft.” — Allisha Gray, Dallas (4th pick) — she and Davis had one more season of college eligibility but were eligible for the draft. Of the 20 previous WNBA drafts we covered — the only one I attended in person was in Cleveland in 2007, last week’s draft was possibly the worst I’ve seen. To begin with, it was held at some virtual reality place in New York City. Watching it on television from the Minnesota Timberwolves-Lynx training facility media room, it looked like the Cheers bar on steroids. It appeared cramped with prospective draftees, their family members and well-wishers sitting like they were waiting for their dinner tables to be ready. Mechelle Voepel wrote on ESPN.com that the idea was to make the W Draft look like a big party in a club-like atmosphere. But instead, it resembled one of Mary Richards’ apartment dinner parties. “There wasn’t a lot of room,” noted Voepel. “This looked like it was thrown together at the very last second,” Tweeted @bekcat. You wouldn’t see this done by another league. Secondly, the poor video conference setup for reporters to speak to draftees for post-draft reactions was a joke as well. This reporter wasn’t laughing. The few local media at the Lynx media room were forced to speak to Alexis Jones on a team staffer’s cell phone, passed around like we were at some 1970’s wild party. Finally, if the league really wants to be taken seriously, and I believe they do, stunts like this didn’t help their cause to convert people to the W.
Read more on the 2017 WNBA Draft here.